Billy’s JV team steamrolled through the season and with only one tough loss to Kennedy their final record is 21-1. 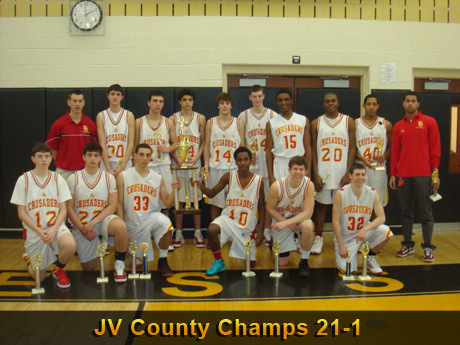 They finished their season in style with an impressive win over Teaneck in the JV County Championship. There were some great individual performances by Amani Adams and Richie DeLuca who both earned “All-Tournament Honors” and John Tsimis who earned “MVP”. It was a great team effort all year long. What an outstanding season it has been!